At RYUX, we perform research and development of the manufacturing technology of "Heat-modified Fly Ash", as well as develop new products utilizing fly ash. 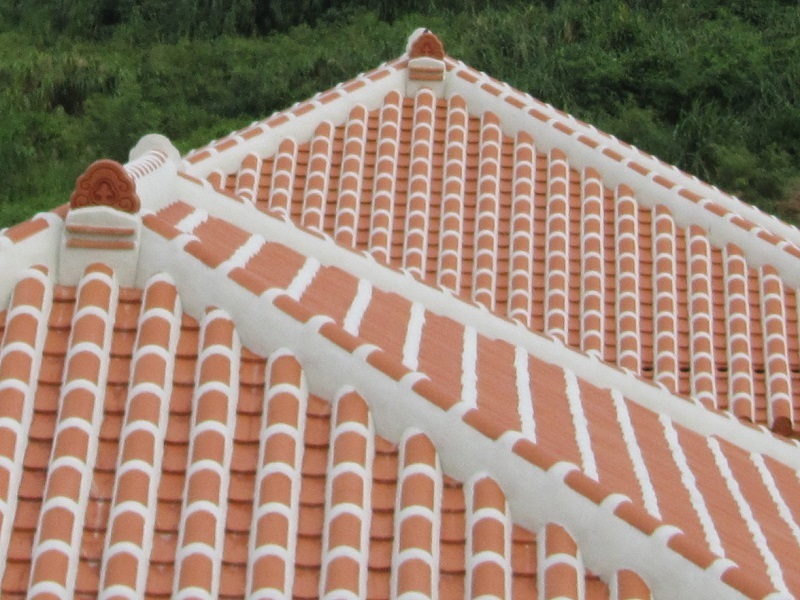 Ryukyu shikkui tile is a human-friendly indoor construction material that utilizes various characteristics of plaster (humidity control, deodorant action, antibacterial, antifungal, fireproof, insulation). 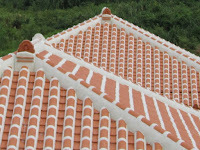 It is made by blending "Heat-modified Fly Ash" into Ryukyu shikkui（plaster） and molding it into the shape of a tile. 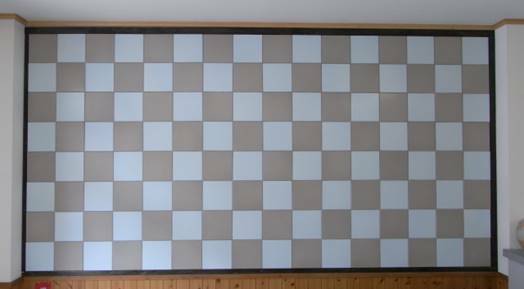 It can easily be used as an interior wall material for even nonprofessional builders, and is also easily transported and stored. 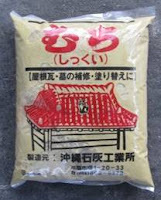 Ryukyu shikkui absorbs CO2 to harden, so it is an eco-friendly material useful for the reduction of greenhouse gas. We are currently developing a concrete repair material in cooperation with the Faculty of Engineering, University of the Ryukyus. If you use cement or mortar in which "Heat-modified Fly Ash" is blended to repair concrete, the fine particles of "Heat-modified Fly Ash" penetrate into minute cracks and integrate with the surrounding concrete. Also, if you apply it on the surface of an existing building, it prevents salt water corrosion through its surface modifying effect. It is an inorganic material, so it does not deteriorate easily even under Okinawa’s intense ultraviolet rays. 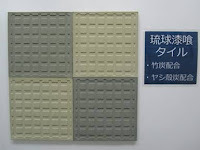 To develop techniques for manufacturing "Heat-modified Fly Ash", we conduct joint research with the University of the Ryukyus, Okinawa TLO, and enterprises in Okinawa Prefecture and elsewhere.